A row over Poland’s bid to replace EU Council President Donald Tusk threatens to overshadow a summit this week that was meant to focus on post-Brexit unity. 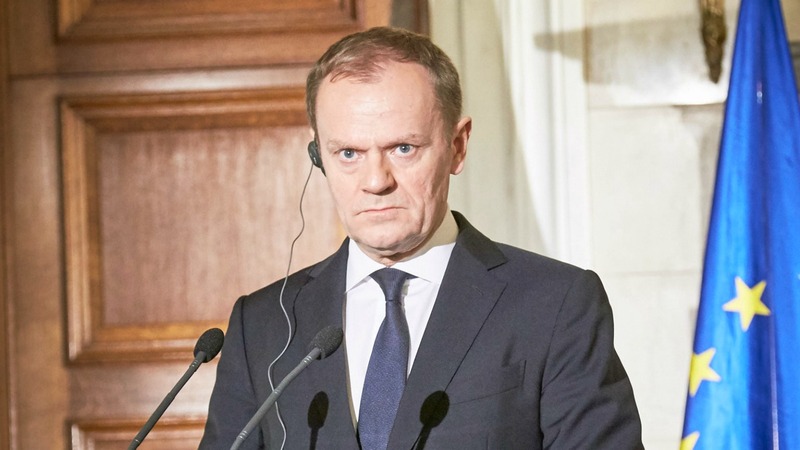 Most of the 28 European Union leaders had hoped to push through Polish ex-premier Tusk’s re-election with a minimum of fuss so they could concentrate on a host of challenges. But instead, the two-day summit starting on Thursday (9 March) risks being consumed by splits along old east-west lines as the Eurosceptic Polish government proposes a rival candidate, with support from Hungary. The leaders also face rifts over Britain’s exit as they meet without Prime Minister Theresa May to draw up plans to mark the EU’s 60th birthday in Rome later this month. That the EU has lated 60 years is impressive, but if we want to guarantee its future in a changing world, we must reaffirm why EU countries should stay together, write Gianni Pittella and Maria João Rodrigues. Unity is at a premium for the EU as it deals with challenges including Britain’s departure, Russian aggression and new US President Donald Trump. Centrist former Polish premier Tusk has broad support among the leaders for a second mandate until 2020 for his handling of crises including migration and Greek debt. 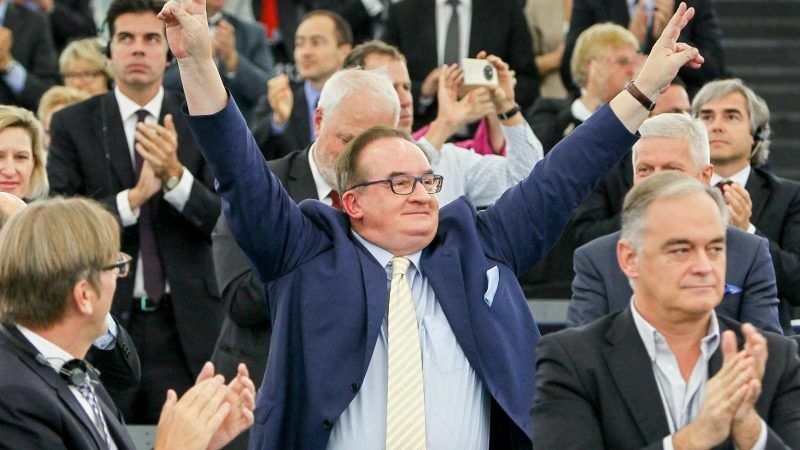 But Poland’s right-wing governing Law and Justice Party surprised many by suddenly proposing MEP Jacek Saryusz-Wolski instead of Tusk, its long and bitter foe. The leader of the centre-right bloc in the European Parliament threatened on Sunday (5 March) to expel a Polish politician who has been nominated by Warsaw to replace fellow-Pole Donald Tusk as chair of European Union summit meetings. The centre-right European People’s Party (EPP) said it had sacked Saryusz-Wolski as vice-president after Warsaw nominated him to succeed Tusk at an EU summit later this week. “Tusk has a very strong position,” an EU official told AFP, as Poland has no veto in the decision and is likely to be supported only by Hungary, led by the Eurosceptic Viktor Orbán. Under EU rules, ousting the Council president would take a majority of at least 72% of the 28 leaders, representing at least 65% of the EU population, a European Council official told AFP. But there is disquiet at the way an internal political feud has spread to the European stage at a time when it is meant to be giving the impression of unity. “I think we will leave our Polish friends to face the cold wind alone,” an EU diplomat told AFP on condition of anonymity. Tusk has been at odds with Law and Justice for years, especially Kaczynski who accuses him of “moral responsibility” for his twin brother and then-president Lech Kaczynski’s death in a 2010 plane crash in Russia. The Tusk issue highlights a growing split between the older, western EU nations and the poorer, newer members in the East, especially on issues such as migration. 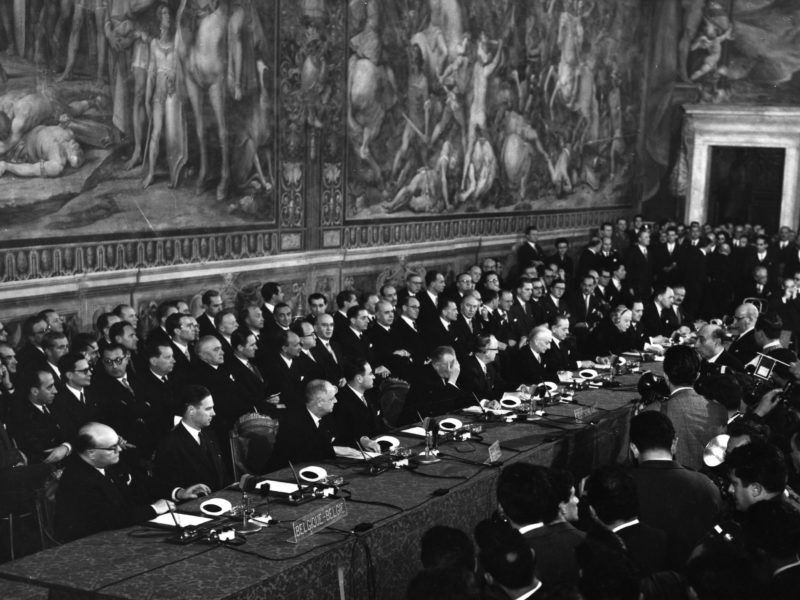 This is also likely to figure when 27 EU leaders meet without Britain on Friday to discuss the 25 March summit in the Italian capital marking the the 60th anniversary of the EU’s founding Treaty of Rome. The “big four” EU economies – Germany, France, Italy and Spain – said at a meeting in Versailles on Monday that they supported countries being able to integrate at different speeds. 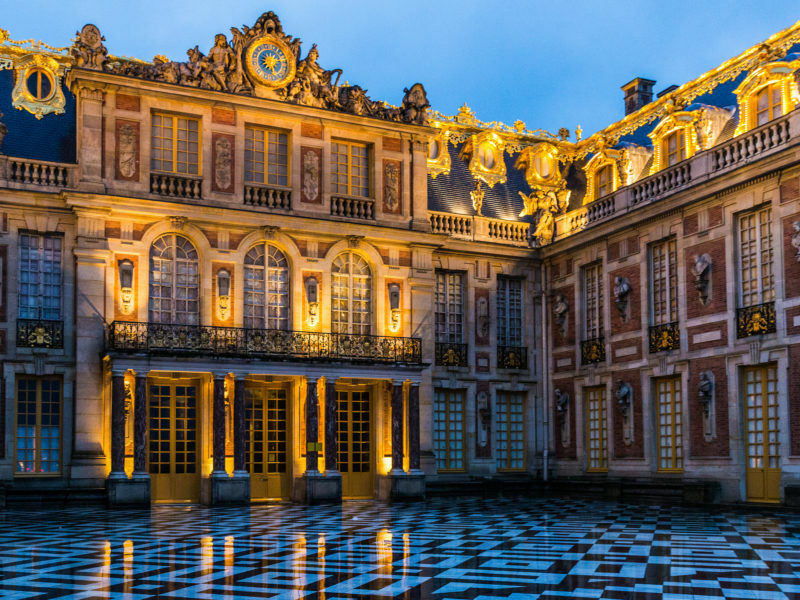 The heads of state of Germany, Italy, Spain and France will meet on Monday (6 March) at the Palace of Versailles in an attempt to restore their citizens’ faith in the EU. EURACTIV France reports. “Unity does not equal uniformity,” French President Hollande said after the talks. But Eastern European nations have strongly opposed any such move. Polish Prime Minister Beat Szydło said last week that they “never will” agree to such divisions while Slovakian premier Robert Fico said preparations for Rome were “pathetic”. “The key message in Rome should be unity. The conclusion from Brexit should not be ‘we need more multi-speed Europe’,” a European diplomat said on condition of anonymity. Meanwhile the EU leaders will also discuss a fresh challenge in the form of instability and growing Russian activities in the Western Balkans. 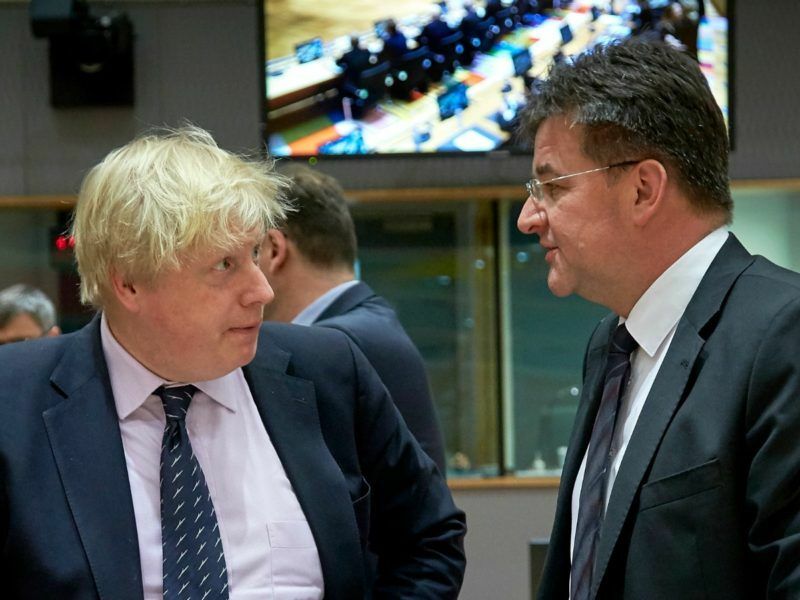 The EU warned yesterday (6 March) that the Western Balkans risk becoming a “chessboard” in a game between major powers, as Britain accused Russia of meddling in the region. The EU leaders are likely to warn in a statement against “external destabilising influences” but Moscow itself will not be specifically named, diplomats said. Tusk brought in the legislation that made humungous real estate scandals possible in Poland. Then people from his party went ahead and stole BILLIONS of euros worth of real estate. The husband of the “Liberal” mayor of Warsaw stole a post-Holocaust asset!! And made EUR 30 million on that deal alone. Civic Platform = post-Commie criminals. The coming European Council is a unique occasion to demonstrate by the EU dissatisfaction from the violation of European principles by ruling party in Poland. Accepting Donald Tusk for the second term would underline the necessary isolation of Law and Justice party which is supported by less educated and disinformed part of Polish society, manipulated by the populists leader (see below comment by David_373737). Parliamentary majority of this party means support of about 18% of society. So, you reject change of government by a democratic vote? Interesting 🙂 And you reject rule of law in Poland as well – happy with Civic Platform stealing billions of euros? Fantastic. You’ll do well in Brussels!! Shame on you to use this comment option for commercial purpose!! !